Hi everyone. So I love blogging…but I’m taking a break for a little while. Want to know why? Because as much as I love blogging I love my new little boy even more. 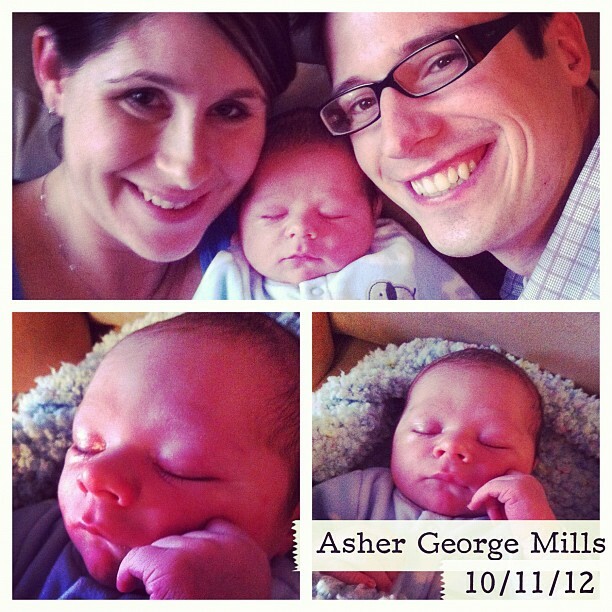 Yesterday our family grew by one as Asher George Mills joined our family. He’s a bit of a big boy at 8’3 and 21 1/2 inch long (or tall I guess!). And so I’ll be taking some time just to spend with him and my amazing wife, and big brother Hudson. So as important as all of you are this new little gift has all my attention! 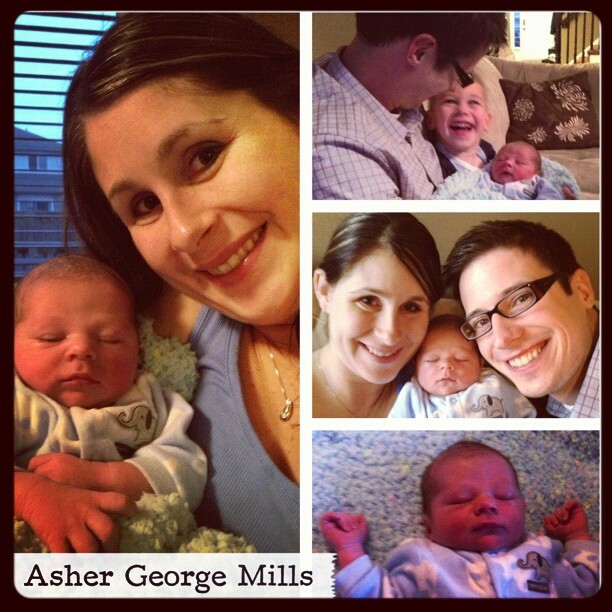 So I’ll get back to my regular blogging schedule in about a few weeks but for now I’ll be spending time with Asher. But as often happens on here, I’m sure he will give me lots of new things to blog about! I’m sure he’ll be teaching me all sorts of new things about God, grace, family, and community. But until then here are a few pictures of our new little bundle of awesome. And yes in case you are wondering, Hudson loves being a new big brother. Last night he sang himself to sleep singing, “Baby here, baby here, big brother”. He was born in November 😉 and so far is doing great! And I think he’s pretty cute too but I am biased!